Hike Cascade Canyon. 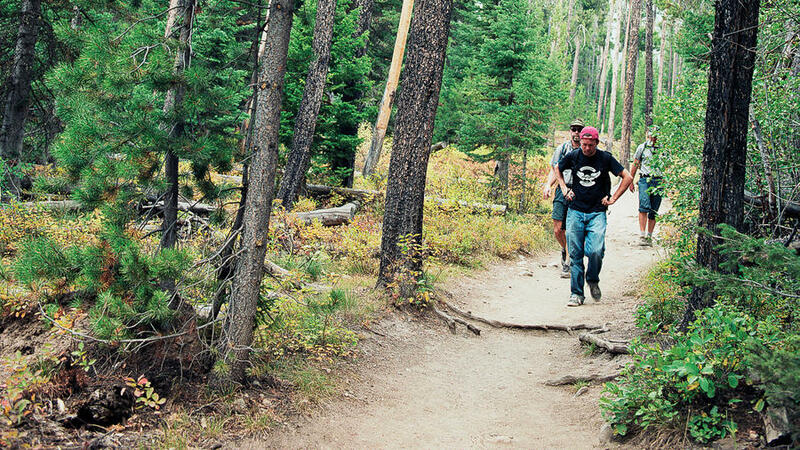 The easiest access into the Tetons, it offers both easy hikes and backpacking opportunities. A great, longer day trip is the 9-mile roundtrip to Forks of Cascade. Access the trail via the 10-minute boat ride ($7.50) from South Jenny Lake. See Jackson Point Overlook. For one of the best views in the park (or anywhere) head to this viewpoint along Signal Mountain Road, south of the Jackson Lake Junction. Explore Jackson. Highlights here include the antler-bedecked town square, the excellent Jackson Hole Community Center for the Arts and the National Museum of Wildlife Art, dozens of private galleries, and great shopping and dining ops.